Event in Anchor & Den Restaurant - Grand Cayman - The Beach House Experience - A Pinch of ‘Proust’ – In the Kitchen Edition, Volume 3. A Pinch of ‘Proust’ – In the Kitchen Edition, Volume 3. The newest edition of the ‘In the Kitchen Series’ is back! If you’re not familiar with our previous interviews don’t forget to check them out after this! This ever-changing series was inspired through our endless love affair with iconic French writer, Marcel Proust. His quirky yet raw interview strategy in the back pages of Vanity Fair has become a true iconic movement in the modern world of journalism. They say this list of questions reveals the tastes and aspirations of the interviewee and give a true representation of a person. Well we thought, what’s a better way to discover the kooky characters we have behind the scenes in A&D? 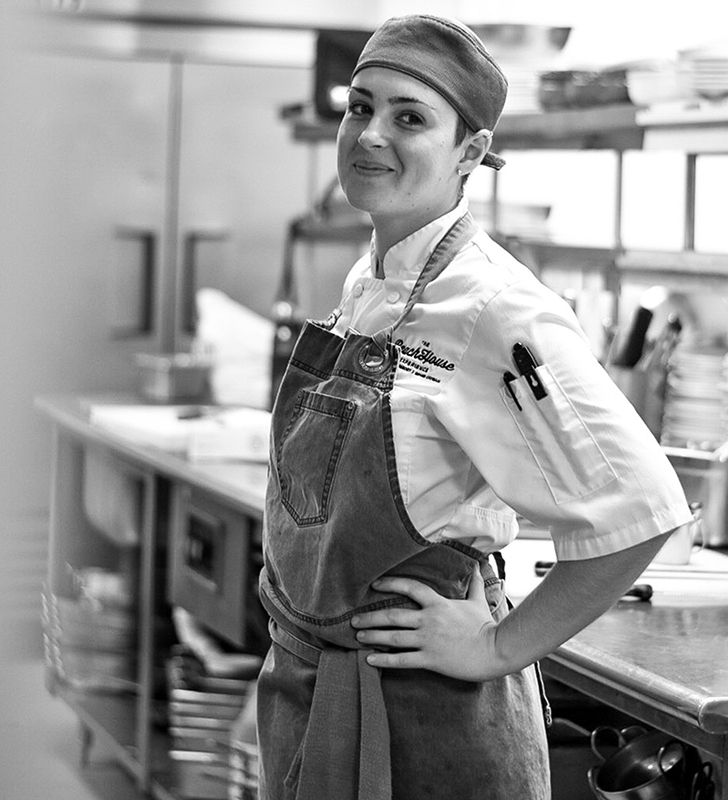 This month we sat down and picked the brain of one of coolest chicks in the kitchen, Ayelen! Ayelen joined us at Anchor & Den in April 2017 directly from her home town in Argentina. Ayelen is definitely one to be recognised, her quirky style and cool demeanour is a serious perk in the A&D kitchen and man, can she cook! Learn more about this passionate lady with her take on the Proust Questionnaire. Who is your ultimate hero? I’m still searching for that. Coming to this beautiful island, Grand Cayman. What’s the most important possession you own? Being in the moment, appreciating the now and making memories. This is ultimate happiness for me. Your favourite ingredient in the kitchen to use? In contrast, what do you consider the most overrated ingredient? What is your most prominent characteristic? If your friends described you in one word, what would it be? What is one of your fondest memories? Cooking with my grandma when I was a child, she inspired me to become who I am today. What do you think are the essential qualities that make a good chef? Passion, humbleness, strength, creativity and consistently. Consistently is key. What do you have in your fridge at home? Beer, water, beef and bread. That’s all you need. What is your most common phrase? What is your state of mind when cooking? To be able to sing!